Voiceless it cries. Wingless flutters. Toothless bites. Mouthless mutters. Flower hits the next generation. Given all the brand spanking new PlayStation 4 games that are available right now, I feel a bit of an idiot playing one that’s some four years old. Particularly since it’s pretty much the same thing as the prior-gen version. But then that’s the power of Flower’s longevity. It was cool back then, and it’s still cool right now. The big difference between now and then, however, is more pixels. 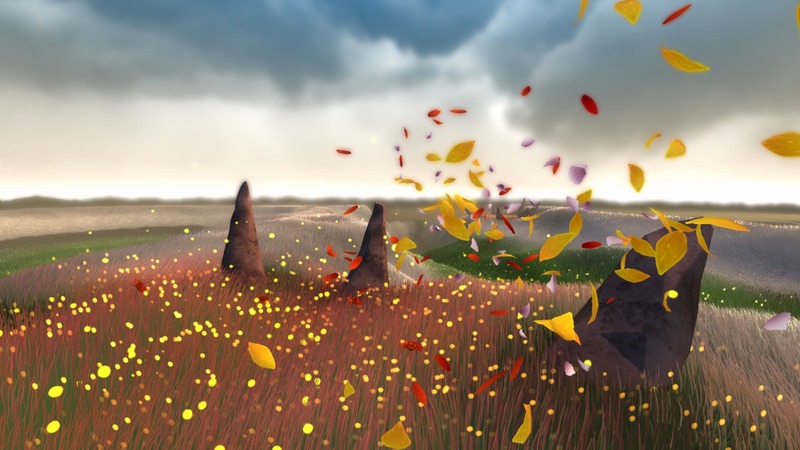 This new version of Flower has been infused with a visual makeover that takes it up to full 1080p, 60 FPS loveliness, which is further enhanced by the PS4’s better lighting. This time around, floating along as the wind itself is a richer, more detailed experience. Blades of grass sway and bend in the wind. Petals float even more delicately. It’s all just super-chill and serene. Float ye petals, upon the wind aloft. Float ye petals, for beauty... BOOOM! Headshot. And that’s exactly why I like playing this damn hippy of a game. I’ve spent most of this weekend either driving cop cars flat out in pursuit of speeding perps, or using an assault/marksman rifle to nail enemy combatants in the head - so Flower is a welcome change of pace. So much of a change of pace, indeed, I think I’m getting more whiplash than an average Need for Speed head-on collision. Floating around using the Dualshock 4 is the same smooth and swoopy experience it was before, only more responsive and less wafty thanks to the new and improved next-gen Sixaxis. It’s all very esoteric and delphic, and other such words that we don’t normally use to describe games, because they’re usually so visceral, blatant and goal-oriented. That's not to say Flower doesn't have goals too. It does, just like any other normal game. But it doesn’t care how long you take, or how you do it. Just chill out, man, and do your thing. Enjoy the ride – because this is what this rather abstract game is all about. It’s a gaming doodle, a time waster – a thing to do. If you've ever wondered what would happen if hippies took over the government and banned violent games - this is what you'd be playing. If you bought and played Flower on PS3, then you already know what you’re getting into - so go and download it for free thanks to Sony’s cross-play. If you haven’t, I’d definitely consider giving it a go. Apart from it being budget priced, it’s just a nice thing to have on your system. When you’re fed up with the intensity of most games – or simply want to play something that really will help you to relax, Flower will do you right. However, if you have zero patience, and are only happy with bullets whizzing by (or through) your head, or feel the need to drive around with the pedal pushed right to the metal all the time, then Flower’s gentle appeal might bore the pants off you and send you off to sleep. But then again, sometimes that can be a good thing. For me, it’s like rediscovering an old friend who I'm delighted to find has actually gotten better with age. 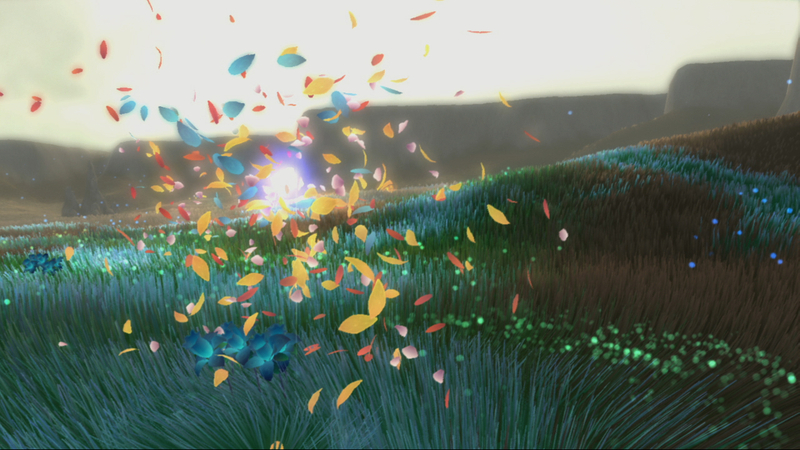 The previous generation's definitive chill-out game gets a lovely visual makeover for the next. And it's still as cool as ever.